We have looked after generations of patients over 90 years and look forward to continuing to do so. The majority of our patients come here from personal recommendations. Expertise – we are a forward thinking team, and are continually improving and developing our skills, so that we may provide you with the very best service and up to date materials that are available. Sterility and cross infection control procedures are complied with to extremely high standards. We have complied to all CQC recommendations. We are located in the leafy business district of Southernhay, in the heart of Exeter City centre, adjacent to local offices and shops. There is plenty of parking nearby and we are well connected to bus and train routes. Because we are very well established, successful and busy, we are able to offer highly competitive fees; which means great value for our patients. Being a fairly large group practice we can afford high end equipment such as Digital Panoramic x-ray equipment which only a few other practices have. Each and every patient will have specific requirements and will need to be cared for in a way unique to them. At the Southernhay Dental Practice we have the time and the skills to do this. It certainly helps to be able to develop a happy professional relationship over the years. If something needs attention, we aim to provide all the facts about treatment options. This allows us to work through them together with you to achieve your goals. The best dentistry is actually no dentistry, and a lot of time and care is put into preventative treatment and advice. 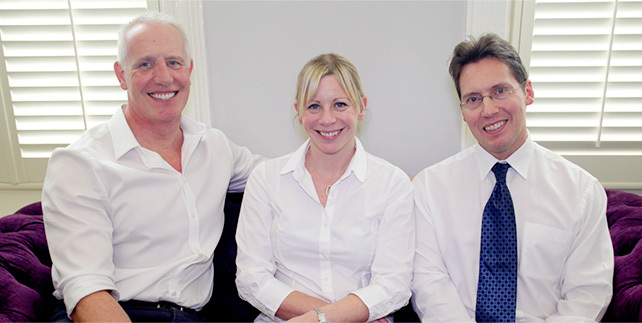 We have helped whole families have a life free of dental decay and gum disease and individually tailored their maintenance programmes to suit. Function of the teeth and restorations should be harmonious, so extending the lifespan of both. It is hard to improve on what nature has provided in most cases, but it is the duty of every practitioner to do the very best they can to mimic it. The field of dentistry is moving on rapidly and so we need to move with it. We are moving away from an era of ‘drill’ and ‘fill’ to one of rebuild and repair. Treatment is a considerable expense and so must be evidence based and long lasting. As we are keeping teeth longer we have greater wear of our teeth. With increasing expectations about dentistry, patients are demanding increasingly complex treatments. This requires more complex skills. Continually updating knowledge through training will enable us to deal with advanced dental problems and be able to offer replacing damaged or missing teeth with a variety of options including dental implants.